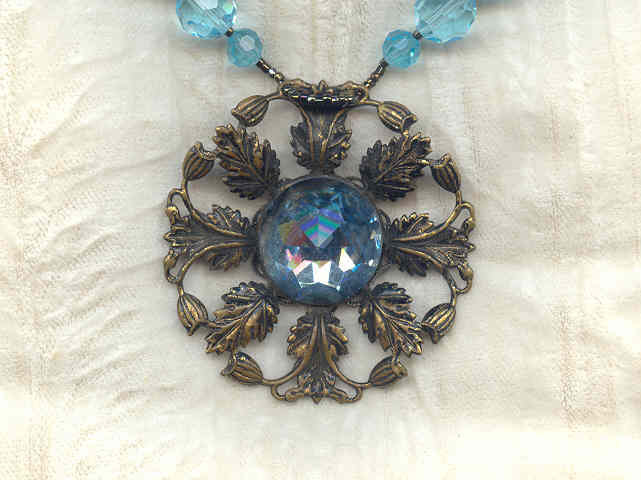 The 3/4" diameter stone is vintage Swarovski crystal, and I've set it in a 2" diameter bronze-coloured finding with gorgeous leaf detail. 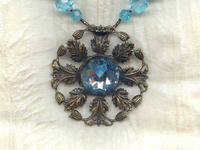 The result is a look that is rather art nouveau. 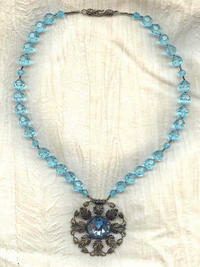 The 19-1/2" strand features Swarovski 6mm and 10mm round crystal beads from the 1960s. The beads in the strand match the colour of the stone in the pendant exactly. 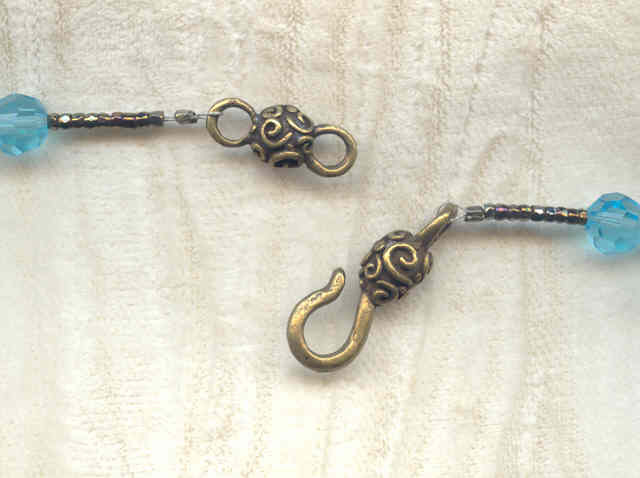 I've spaced the crystal beads with tiny faceted Czech seed beads, and finished the strand with a bronze-clad pewter hook set. This is a fabulous piece, at a fabulous price ... just what you've come to expect from SPARKLE PLENTY.